Image copyright 2012 the Balbusso sisters. Reproduced with permission from the Folio Society. Before binge-watching the show, consider picking up the Folio Society’s 2012 edition of the book. Complete with a new introduction by the author, this incarnation includes illustrations by Italian sister-artists Anna and Elena Balbusso, whose painterly creations are often heavy with iconography and symbolism, and their work here is no different. “For a long time we hoped for a book like this [The Handmaid’s Tale] and we loved the challenge,” the Balbussos said. “The theme of a woman’s body appealed to our sensibility.” The sisters strike a decidedly futurist note with images full of bold, fascist-era strokes of red, white, and black. Hulu streams new episodes of The Handmaid’s Tale Wednesdays. 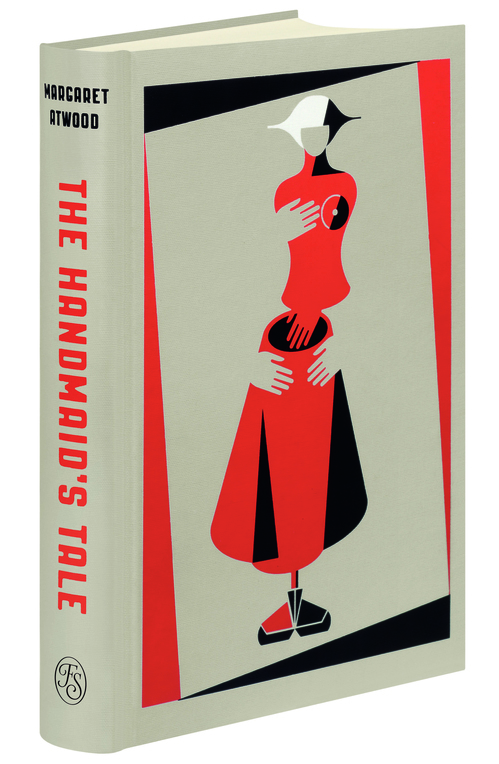 The Handmaid’s Tale, by Margaret Atwood, illustrated by the Balbusso sisters; Folio Society, $74.95, 366 pages. Image Courtesy of the Folio Society. Before binge-watching the show, consider picking up the Folio Society's 2012 edition of the book. Complete with a new introduction by the author, this incarnation includes illustrations by Italian sister-artists Anna and Elena Balbusso, whose painterly creations are often heavy with iconography and symbolism, and their work here is no different. "For a long time we hoped for a book like this [The Handmaid's Tale] and we loved the challenge," the Balbussos said. "The theme of a woman's body appealed to our sensibility." The sisters strike a decidedly futurist note with images full of bold, fascist-era strokes of red, white, and black. Watch the show. Read the book. Discuss. If the whole enterprise starts to feel too grim, chin up: "Nolite te bastardes carborundorum." Hulu streams new episodes of The Handmaid's Tale Wednesdays. 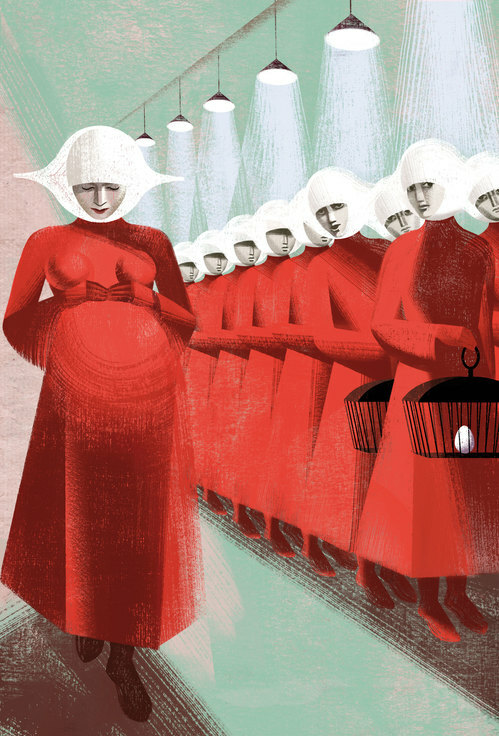 The Handmaid's Tale, by Margaret Atwood, illustrated by the Balbusso sisters; Folio Society, $74.95, 366 pages. Image Courtesy of the Folio Society.